The decision of a judge in a family law case can have significant consequences on an individual's life and the life of a family. If you feel like your case was wrongly decided, it may be possible to get the decision altered on appeal. Appealing a ruling involves taking a judgment to a higher court. 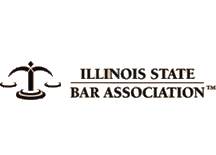 In Illinois, family law appeals first go to the appellate court of the state of Illinois. Should You Appeal Your Family Law Judgment? Being unhappy with the outcome of your case is a common sentiment in family law matters. It can be a challenge to find a mutually beneficial resolution to divorce, and often one or both parties may not feel satisfied with the final judgment. Unhappiness, however, is not grounds for an appeal of your judgment. Only decisions of law can be cited as grounds for appealing your judgment. For example, you may be unhappy with the amount of child support you are ordered to pay, but unless the judge failed to follow the law in making the order, an appeal would be unsuccessful. If you wish to appeal a family court decision, you must do so as soon as possible. Appeals must generally be filed within 30 days of the final judgment. Our family law attorneys can advise you on the potential success of an appeal. Should there be sufficient grounds to warrant an appeal, we will provide strong advocacy throughout the appeals process. 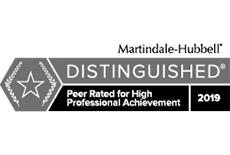 Our attorneys are skilled in researching and drafting appellate briefs as well as presenting oral arguments where necessary. If you are interested in appealing the judgment of the court in your family law case, contact us at 630-462-9500 to schedule a consultation. We will go over your case and provide our experienced opinion on the possibility of a successful appeal. 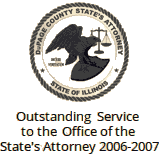 From our office in Wheaton, we work with clients throughout northern Illinois, including DuPage, Cook, DeKalb, Kane, Kendall, and Will counties.